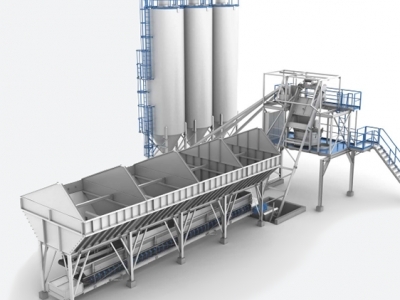 Modular Kamet® Compact concrete mixing plants are developed for small and medium-sized production needs of ready-mixed concrete and the concrete used by the precast industry. Kamet® Compact series is highly reliable. In addition to enabling quick production, it is easy to use and maintain. Special attention has been paid during the design stage to maximizing adaptability and cost-efficiency of operation throughout the entire lifespan of the products. Modularity allows for the plant to be extended cost-efficiently with Kamet® accessories. Ready-to-use modules are constructed and tested at Steel-Kamet Oy’s factories based on orders received. At the construction site, the modules are assembled with installation parts that are quick to use. The plants are very compact, making their transportation, installation, start-up, and relocation easy and cost-effective.